My last post featured the first section of my interview with James Calvin (Jim) Schaap, which appeared in the December 15, 2010, issue of Christian Renewal. That section dealt with his current work, his upcoming retirement, and his views on writing. In this second section of the interview, which will appear in the February 12, 2011, issue of Christian Renewal, Schaap discusses how a Reformed perspective relates to the arts and how he views the CRCNA and the Reformed faith. Glenda Mathes (GM): Let’s talk a little bit about perceptions. How would you define a Reformed perspective on the arts? Jim Schaap (JS): I was under the impression when I was 17 years old that to be a Christian writer meant that you needed to turn out “Sugar Creek Gang” or that you needed to write a certain kind of Sunday school material or something like that. And I think I first ran into what I would call a Reformed view of writing and literature when that kind of prison was broken through. That made Hemingway fair game; that made Fitzgerald fair game; it made Dickinson fair game. It helped me to say, “There’s more to looking at Emily Dickinson than whether or not she subscribes to the five points of Calvinism. That somehow in understanding her, we can understand ourselves and our relationship to God.” That is a much, much broader vision of life and literature and writing than a sort of pietistic way of thinking about things. That’s something that I’ve always lived with and lived joyfully with, as a matter of fact. The Reformed view of things is from my view a very broad view. Does it have its weaknesses? Sure, because it probably offers more opportunity for exploration that may lead to something other than adherence. On the other hand, you know as well as I do that there were so many people who were so strictly raised that they kicked to get out of that circle. You can make an argument that going to a Christian college can, in fact, be more difficult for some students than going to a public university. Because at a Christian college you’re going to be asked to think about things in a way that’s deadly serious and that asks you ultimately even to question the nature of your own faith. You can very easily—sometimes even more easily—avoid those kinds of things at a public university. I think a Reformed view of life (it’s what kept me at Dordt for all these years to start with) is very precious and very powerful, but sometimes even a little dangerous. It says to me you don’t have to read just heart-pounding Christian literature, but you can read almost anything you want. GM: You mentioned “that kind of prison was broken through”; was there some specific incident, or some course, or something that happened in your life? GM: Were you thinking more of a teaching career then? JS: Yeah, and what came to me was, “I can do this.” I mean you could actually do this. I didn’t have great English teachers in high school. I can’t say, “Oh, I had this wonderful English teacher; I wanted to be like him or her.” But that’s not true. GM: Your teachers in college were much better? Or you were discovering the significance of literature? JS: What happened in my situation is that I became sort of rebellious at Dordt. Well, more than sort of. I wrote for the school paper and I wrote things that people didn’t always like, so I learned something about the power of the pen. It may not have been the greatest lesson. People got mad because I said we shouldn’t be in the Vietnam War. So that was good for me because I realized that if you write something, people can react to it, which is not a small lesson. It’s a big deal. I think that was big deal. And then I am very much a child of the 60s, and the other thing that’s important is that I had a mentor before I knew him or he knew me. That was this novelist from Northwest Iowa called Frederick Manfred. I found out when I went to Dordt that there was this novelist; and I thought all novelists were either Jewish or from New York or something. And I didn’t know real people could write novels. This guy wrote these novels about people that I thought I knew. That really clicked in me and that was when I was a freshman in college. I read a novel of his and I thought, “Could I do this? Could I write stories like this? Given who I am and who my people are, could I do that? Wow, that would be terrific.” So that’s where that came from; totally outside of class. Although I did have a teacher who told me I could write well as a freshman. GM: In 2007 you wrote an essay, “What about a Bicentennial? Mr. and Mrs. CRC,” which you presented at the CRCNA’s 150th Anniversary Conference and which appeared in the September 2007 Pro Rege. In that essay, you wrote about many factors that make the future of the CRCNA appear bleak. Those factors could be summarized as individual choice, geographic mobility, shallow spirituality, pervasive technology, limited relationships, shrinking ethnicity, emerging congregationalism, and diminished distinctives. In the three plus years since that essay appeared, which of those factors have mitigated or amplified? JS: None that I know of; the course seems to be the same. The one thing I’d add is the continuing diminution of denominationalism itself, a phenomenon that’s culture-wide. Even the Catholics are discovering that their children don’t know that the Catholic faith is “sacramental.” My sense is that the ethnic factor—really significant in the cohesive CRC of the mid to late 20th century—has, via internet especially, faded even faster than I might have guessed. People find and establish communities in new ways these days. (Of course, I mean ethno/religious character, not just ethnic—I don’t know too many CRC people who give two hoots about wooden shoes. GM: In spite of the bleak outlook, you wrote that “a story is nothing without a surprise” and the surprises were that the CRCNA was not only still in existence after having in the last thirty years “hemorrhaged from every possible orifice,” but also that young seminarians were making intentional choices that affirm preaching of the Word and family-focused church education while many churches were working to recreate community within their congregations. In what ways are these “surprise endings” from three years ago more or less evident now? JS: What really surprised me was that the seminarians I spoke with really believed that “the preaching of the word” was paramount in their approach to leading a congregation. That surprised me because “the lecture” just isn’t much in higher education these days; one person talking is really old-fashioned (not necessarily bad, in my book, by the way). I have no reason to believe that that’s changed or is changing, and I may well have been talking to some more conservative seminarians at the time. I don’t know that I know an answer to your question, however. And that may well be an answer. For much of my life I felt as if I were a member of a community with a common dialogue. Not any more. I’m not sure there is a common dialogue. Conservatives might maintain that such a falling off is an earmark of a church staggering toward liberalism, but I wouldn’t be so quick to create a villain. There are perfectly understandable reasons for what finally may be the disappearance of the CRC. As Richard Ostling told me long ago, in America, ethnic denominations all die. GM: You wrote that the greatest gift of the CRC to American evangelicalism is “a theology which insists on God’s immense sovereignty over all of life, because ‘from Him and through Him and to Him are all things. To Him be the glory forever. Amen.” In what ways do you still view that as the greatest gift of Calvinism to the American religious landscape or in what ways has your perspective changed over the last three years? JS: To my knowledge, the greatest gift of the CRC is that which some call “neo-Kuyperianism.” I still think that, even though the vast majority of those who worship in the CRC these days likely have no clue whatsoever about what it means. I say that because one almost requires Kuyperianism to get to worldview, and worldview—for better or for worse—is everyone’s game in evangelical America these days. Lots of Christian worldviews aren’t necessarily mine, of course; but the idea of the Christian faith being a kind of ideology is a special gift of the neo-Calvinists. It’s not the province of the old-line pietists, however. Never was. That gift is best visualized in the Christian school system—envisioning all of creation as His. GM: You hesitated to make specific predictions regarding the future of the CRCNA three years ago, but you wrote: “Those of us who own up to a sovereign Lord and Creator who loved this very world so much he sent his son—we will be his and He will be ours, no matter what letters or words we inscribe on our shingles.” How do you now view the future of the CRCNA in particular and the Reformed faith in general? JS: The Reformed faith seems to be going well—those who find their roots in the English Calvinists, that is, are prospering. Continental Calvinists, not so. Many of the English Calvinists have hitched their wagons to conservative evangelicalism, however, and their fate rests in the hands of Focus on the Family types, and others like them. How well they fare in the Tea Party revival now going on remains to be seen. Loving the constitution and free enterprise isn’t necessarily an attribute to some of those in the religious right, who see abortion and gay marriage as their reason for existence. A preacher friend of mine—a Westminster grad, actually—once told me he thought God is always working to make things new. But he never really tosses out any of the old either. Look, Catholic chants are coming back. The Orthodox faith is doing better than anyone would have expected. Mega-churches are falling out of favor, even though they’ve been the headlines for three decades. And, as Christianity Today has made clear more than once in the past few years, Calvinism is arisin’ (at least among the Baptists)! While the Calvinists are eschewing Calvin, the Armenians are holding him high (when they can and still keep their jobs). Go figure! It seems to me that it’s become very, very hard to be a kind of middlin’ Christian these days, part of what the CRC used to call “a third way.” You’re either mainline Protestant, which is to say dying, or else conservative evangelical, which is where all the steam is. We’re a bifurcated country these days—and the church culture is split as well, two dynamically opposed visions of goodness and truth and right. The CRC suffers in that kind of dilemma. I read World magazine faithfully, and love what they are doing. I don’t necessarily share their politics, however. 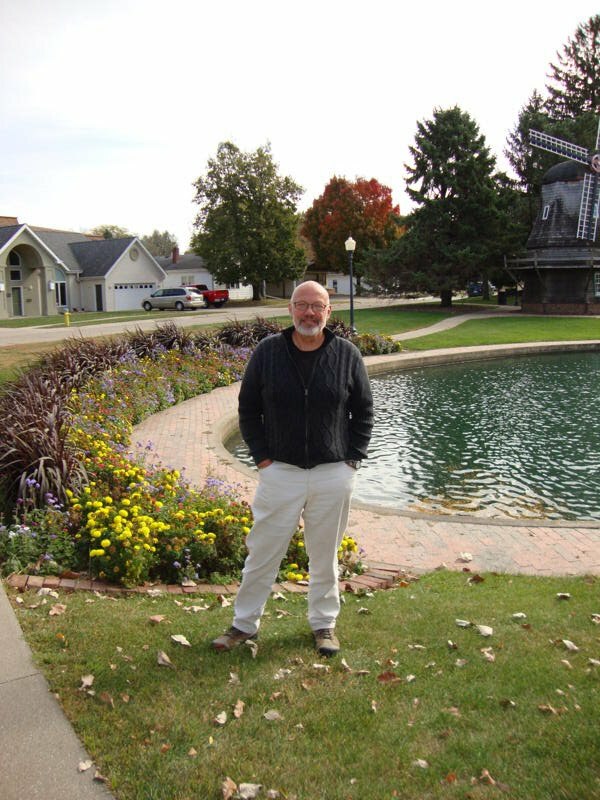 GM: You wrote on a recent blog entry that there was no other writing project in your pipeline, but in Pella you read from a fiction-based-on-fact work about the Dakota War of 1862. What’s the status of that story, does it have a title, and is it part of an extended work? JS: I have no plans for something long on the 1862 war. There are numerous volumes on it already—but that isn’t to say that using it as a background might be possible, but that’s a novel, Anyway, right now I’ve got only an unfinished novel in my computer—no other projects. But I’m also one and one-half years away from retirement, which sounds wonderful to me. There will be more. This second section of my interview with Jim Schaap will appear in the January 12 issue of Christian Renewal. Subscribe today!